CHURCH TIME SHARE. 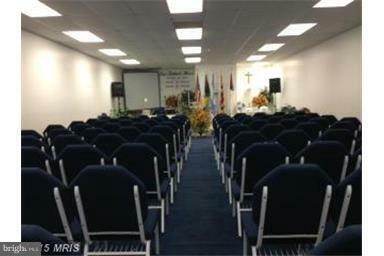 3000 Sq Ft +/- Fully Furnished Church. Sanctuary Seats 100+/-. Currently floor plan includes 3 classrooms, nursery, meeting room, bookstore, two restrooms and sanctuary. Sound system installed & available for use. Church time available on Sunday after 1pm and during the week. Please call for additional information and to schedule a private showing.